Brive Head coach Jeremy Davidson is tipping Fiji Airways Flying Fijians captain Dominiko Waqaniburotu for a special 2019 double. 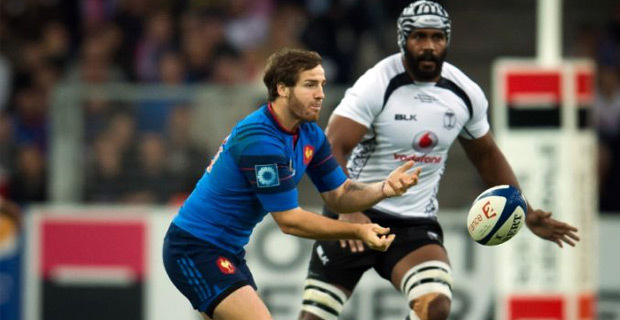 Davidson hopes are high that Waqaniburotu will help lead Brive back to the Top 14 and a quarter‑final qualification for Fiji at the 2019 Rugby World Cup. Waqaniburotu took over the Fijian captaincy from Akapusi Qera for their November series and led them to their historic win over France. Davidson says that Waqaniburotu is a player who has an aura in the group and is key to their promotion plans. He adds that Waqaniburotu wishes for only two things this season, that is to get Brive back in the Top 14 and play a third World Cup with his brothers in Japan next September and reach the quarter‑finals. Meanwhile, Fiji’s deserved win over France in Paris moved them up to eighth position in the World Rugby rankings ahead of a 2019 pool campaign where they face Australia, Wales, Georgia and Uruguay. The 2019 Rugby World Cup in Japan will be played from the 21st of September to the 2nd of November.